SPCC plans ensure that facilities put in place containment and other counter measures that would prevent oil spills that could reach navigable waters. Spill prevention, control, and countermeasure plans are required by oil and hazardous material storage facilities in compliance with 40 CFR 112. A spill contingency plan is required as part of the SPCC Plan if a facility is unable to provide secondary containment (e.g., berms surrounding the oil storage tank). M.S. Environmental Consultants has the experience in developing SPCC Plans and Contingency Plans for onshore facilities in compliance with federal and state regulations. While unique to the facility, each SPCC Plan and Contingency Plan covers all elements of regulations. Stormwater pollution prevention plans are required under federal and state regulations to prevent migration of contaminants to the waters of the state resulting from industrial and construction activities. M.S. Environmental Consultants has developed stormwater pollution prevention plans (SWPPP) for industrial facilities and construction sites. The stormwater pollution plans incorporate best management practices for prevention of stormwater pollution. In order to provide appropriate response to emergencies arising from chemical releases, oil spills, radiological and hazardous waste releases, fire accidents, failure of dike, medical emergencies, and emergencies resulting from natural catastrophe, M.S. Environmental Consultants has developed comprehensive facility emergency response plans for power plants and industrial facilities. Emergency response plans provide a detailed description of emergency response resources, emergency response organization, emergency information release, and managing contacts with media, agencies, and the public. Owners or operators of facilities subject to the requirements found in 33 CFR Part 105, Maritime Security (MARSEC) Directives, Navigation and Vessel Inspection Circular (NVIC) 03-03 are required to develop and submit a Facility Security Plan (FSP) to the cognizant Coast Guard Captain of the Port (COTP) for review and approval. M.S. Environmental Consultants has developed facility security plans for marine transportation/transfer facilities located along the gulf coast to ensure compliance with the requirements of the act. M.S. Environmental Consultants regularly performs annual compliance audits of affected facilities for continued compliance with regulations. Operations Manuals are required by marine facilities that are involved in transfer of oil and hazardous material in compliance with requirements of 33 CFR 154. M.S. Environmental Consultants has the experience in developing Operations Manual for marine transfer facilities. Our in-depth knowledge of federal regulations with positive agency relationships and a thorough understanding of regulatory compliance issues facilitate timely agency approvals. In reference to Section 311 (J) of the Federal Water Pollution Control Act (FWPCA), as amended by Section 402 of the Oil Pollution Act of 1990, Facility Response Plans serve as the response plan for the oil and hazardous material spill incidents. M.S. 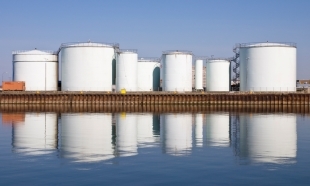 Environmental Consultants has developed facility response plans for fixed marine facilities and onshore facilities that store oil and hazardous material in quantities exceeding 1 million gallons. M.S. Environmental Consultants- developed facility response plans address federal and state regulatory requirements to provide adequate response to oil and hazardous spill incidents. OPA-90 mandates that owners and operators of certain vessels submit response plans to the U.S. Coast Guard for approval as per NVIC 8-92. Vessels carrying petroleum products or other hazardous material in bulk are required to comply with these regulations. In response to catastrophic disasters such as the Exxon Valdez and the Mega Borg oil spills, Congress passed the Oil and Pollution Act of 1990 (OPA-90). M.S. Environmental Consultants has the experience in developing Vessel Response Plans for marine transfer facilities. Through our in-depth knowledge of federal regulations, we have assisted marine facilities in obtaining timely agency approvals. ©2012 MS Environmental Consultants, Baton Rouge, LA. All Rights Reserved.